Ring News 24Boxing News Breaking Boxing NewsCanelo Alvarez vs. Gennady Golovkin II: Does the Rematch Lie in Canelo’s Hands? 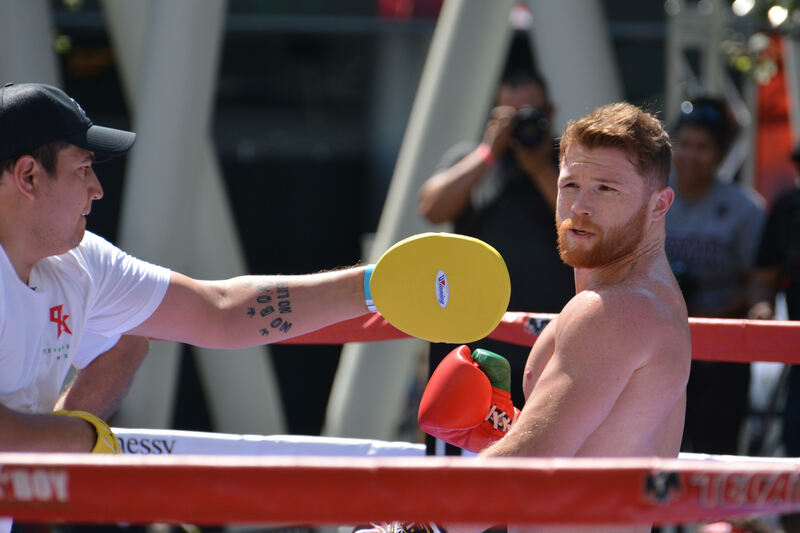 Canelo Alvarez vs. Gennady Golovkin II: Does the Rematch Lie in Canelo’s Hands? It was announced a few days ago that Saul “Canelo” Alvarez and Gennady “GGG” Golovkin will indeed be facing off for a second encounter, as they will meet for a second time on May 5, 2018 at a location to be determined on HBO pay-per-view. Once again, Las Vegas is in the front-running to host the rematch, as they did the first fight this past September. Alvarez and Golovkin fought to a split-draw inside of the T-Mobile Arena in a fight that had several ebbs and flows. A venue announcement should take place soon. Alvarez (49-1-2, 34 KO) and Golovkin (37-0-1, 33 KO) saw much controversy surface after the first fight. Realistically, the majority of people watching felt that Golovkin had done more than enough to win a competitive fight, but that wasn’t the case among all the judges. If you recall correctly, judge Adalaide Byrd’s 118-110 scorecard for Canelo was one of the more controversial tallies in recent memory. The rematch will be taking place on the annual Cinco De Mayo Weekend in Las Vegas, which is always a big occasion. At 27 years of age, Canelo has really added some wrinkles to his game upon his only career defeat to Floyd Mayweather in 2013. Victories over the likes of Alfredo Angulo, Erislandy Lara, Miguel Cotto, Amir Khan, Julio Cesar Chavez Jr., and others have given him much confidence moving forward. In the first fight with Golovkin, Canelo’s best moments were when he countered and boxed Golovkin, although his lack of punch output did appear to hurt him. Either way, Alvarez is stoked for part two. A knockout for Alvarez? Bold prediction for sure, as Golovkin has always shown an iron chin and took all of Alvarez’s punches flush. For his part, “GGG” is eagerly exited. There are a lot of things to consider in this rematch. For one, the fact that Golovkin will be 36 years old by fight night could be alarming, as he has obviously taken some wear and tear over the years. Still, Golovkin was fresh and focused the first time out, doing enough to seemingly build an early lead. Perhaps the fate of this fight lies with Alvarez. At his very best, in the first fight, we saw Canelo dig deep and fight Canelo toe-to-toe, often having success with sharp punches. Alvarez backed up much of the fight and was often retreating, so this time around he will somehow need to either step up his work-rate or do something dramatic to capture the early momentum of the fight. The build-up will surely be dramatic moving forward. All signs of another barn-burner are evident. Dillian Whyte vs Lucas Browne – An Explosive match-up, but who wins?